THE BABADOOK: The Monster-nal Instinct – Schlockmania! Horror is always at its most effective when it uses its outré elements in the service of exploring our primal fears. Visceral shockers of the Saw and Hostel variety might inspire knee-jerk screams but they can’t resonate like a horror film that targets your private, unspoken fears. A strong modern example of a film that hits the viewer at home is The Babadook, which clever uses its genre elements to explore taboos and fears related to raising children. It sheds little blood and has limited violence but its ability to wield our collective fears as a psychological bludgeoning tool makes it more grueling than the last ten bloodbaths you’ve seen combined. The beleaguered heroine of The Babadook is Amelia (Essie Davis), a widower whose husband died in a car accident while driving her to the hospital to deliver their son. She tries to repress this awful memory as she struggles to raise her son Samuel (Noah Wiseman). Unfortunately, he is both precocious and possessed of emotional problems that cause him to constantly act out in embarrassing ways. Her difficult life becomes even more challenging when Samuel picks up a mysterious book called “The Babadook.” Samuel quickly become convinced that the monster from the book is trying to kill them, pushing Amelia to her wit’s end. However, strange occurrences begin to pile up in their home as Amelia discovers that the monster wants to use her as its proxy – and the only hope for stopping these unfolding terrors lies in her troubled son. 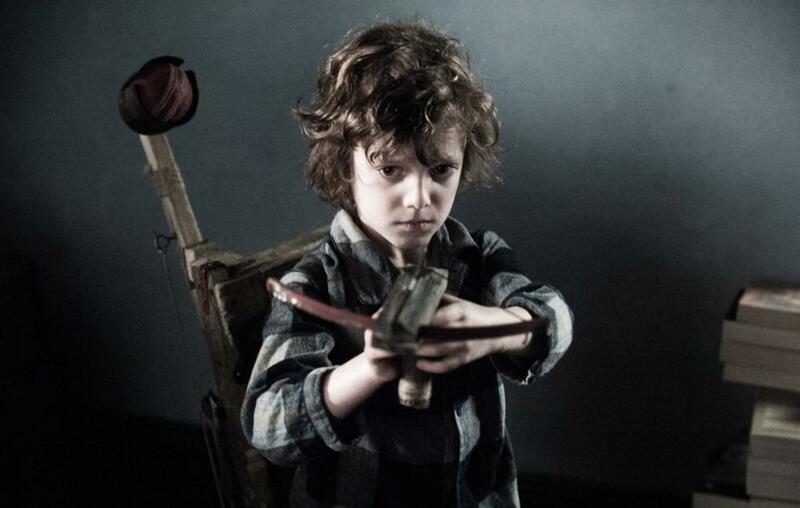 The horrors in The Babadook don’t make their first appearance until the film’s 30-minute mark appears but the setup is as nerve-jangling as any recent horror film in memory: writer/director Jennifer Kent does an excellent job of putting the viewer in Amelia’s shoes, showing how she feels besieged by her daily grind and the demanding nature of a son who is constantly putting her on the spot. She creates a sense of dread through a cleverly manipulative use of Frank Lipson’s edg y sound design to create a sense of edgy nerves and isolation that will get under the audience’s skin. These early scenes play on realistic fears: the idea that you might have a child you can’t control, the idea that you might not be up to the job of parenthood and the fear that a bad situation will never get better. The believability of these scenes and the fears they explore really creates a sense of investment that the setup in horror films doesn’t often have. When the horror content really makes itself felt during the second half of The Babadook, Kent continues to keep the audience on the edge of their seats with a clever presentation of the material. For starters, she stages a lot of incidents in a way that makes the viewer question whether the supernatural is involved or if Amelia is just losing her grip. The malleable sense of reality in these moments is genuinely unnerving because of the sympathy the film generates for the heroine. The idea that she might lose her mind isn’t just a plot device to create tension, it actually inspires dread in the viewer. More importantly, Kent really toys with the audience’s equilibrium by suddenly but convincingly shifting the viewer’s sympathy from Amelia to Samuel. As our one-time heroine becomes monstrous and her damaged child reveals sympathetic and heroic qualities, the emotional confusion created really lowers the viewer’s defenses – and though she never resorts to cheap gore or jump scares, Kent really puts the audience through its paces in the grueling final act. Without getting into spoilers, it’s also worth noting that the film’s coda bypasses a lame happy ending or one last shock to find a genre-savvy way to express the film’s theme of the need to face up to one’s repressed fears. 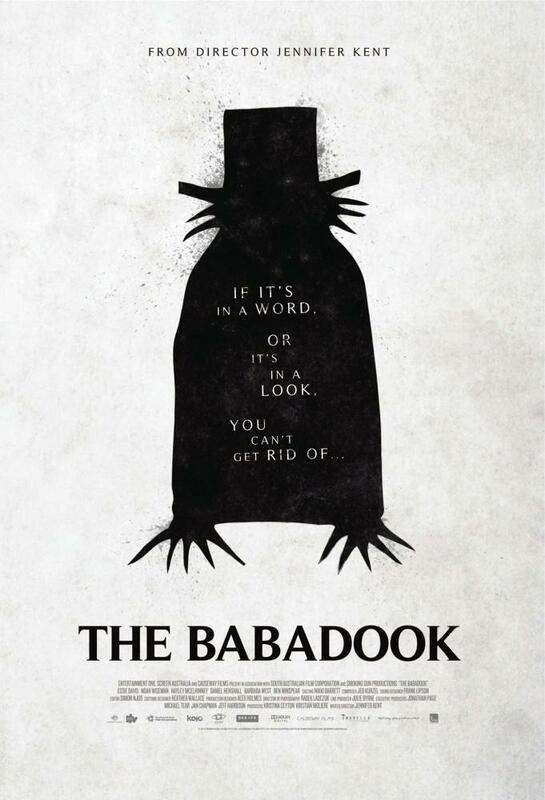 Finally, it helps that The Babadook is invested with a thorough yet subtle sense of craftsmanship in all departments. Kent’s script sets up its emotionally and psychologically complex tale in a spare, pace-conscious way and her direction invests the film with mood and style without ever calling too much attention to those qualities. Kent constructs the film in a way that relies on the performances of her two leads and thankfully they deliver: Davis’s slow transformation from beleagured mother to accidental monster is as heartbreaking as it is scary and Wiseman shows an uncanny-for-his-years ability to create a multifaceted portrayal of a troubled child. It’s also worth noting there is a nice, quietly affecting supporting performance from Barbara West as a kindly widower neighbor. In short, The Babadook is the most genuinely unnerving horror film in recent memory because it hits you in the most effective place: the fears that you don’t dare to speak aloud. As such, it’s a must-see for any serious student of the genre.